Just like no-impact camping, satellite operators should bring their trash home. Environmental protections must be updated. NASA drafted the first debris mitigation standards in 1995, and publications were subsequently issued by other expert organizations, such as the Inter-Agency Space Debris Coordination Committee (IADC), the International Organization for Standardization (ISO), the European Space Agency, and others. These foundational works were a good start but had no way to anticipate the tremendous scale of current and proposed satellite activities and are now outdated. In this new era of large constellations and low-cost access to space, it is urgent that we adopt common-sense practices that are critical to the long-term environmental sustainability of LEO. 1. Large constellations should not overlap in altitude. Operating many satellites in close proximity requires meticulous choreography, and managing the dynamics of a large constellation safely can only be accomplished through careful constellation design techniques and operational procedures. Operating more than one constellation in the same volume of space is like having multiple ballet performances on the same stage at the same time. It dramatically increases operational complexity and elevates the risk of collision. Fortunately, there is plenty of room in LEO for many constellations if they are properly planned and managed, meaning there is no need to place them in overlapping altitudes. 2. If satellite failures occur during the deployment of a constellation, root cause(s) should be identified and corrected on the ground before additional satellites are launched. A key risk of any new satellite development program is that undetected design or manufacturing problems could lead to premature failure in orbit. 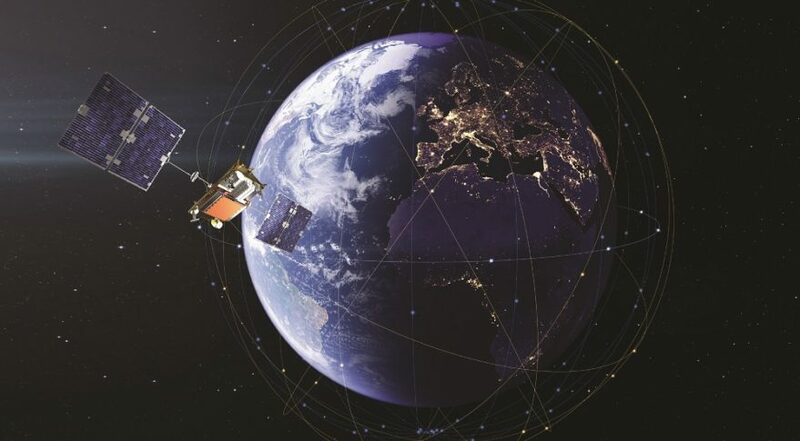 Low-cost programs designing satellites with short lifetimes and abbreviated test campaigns are particularly vulnerable to this type of failure. Constellation operators must take special care to prevent the deployment of large numbers of satellites that carry a systemic flaw. In the event that satellite failures are evident in early deployments, the problem must be understood and satellites yet to be launched must be repaired before continuing with a launch campaign. 3. Spacecraft operators should be able to control the flight paths of their assets. Using a 400-kilometer altitude as a breakpoint, just below the International Space Station, we believe operators with spacecraft above this altitude have a responsibility to maintain custody and control of their spacecraft. This begins with having the ability to predict a satellite’s flight path with sufficient accuracy to support collision avoidance activities. It is also important for operators to share their position predictions and maneuvering plans with data aggregators and other stakeholders to support conjunction assessments, and for spacecraft to be equipped with effective maneuvering capabilities to respond to high-probability conjunctions. 4. Spacecraft should be disposed of promptly and reliably at the end of their missions. Just like no-impact camping, operators should bring their trash home. Today’s guidelines call for a LEO satellite to be deorbited within 25 years of mission completion. We believe this is unnecessarily long and presents avoidable risks to other spacecraft and the orbital environment. Under this constraint, a six-month experimental satellite may spend 50 times longer as a non-functioning, hypervelocity projectile than the amount of time it served a useful purpose. For maneuverable spacecraft, the additional cost to deorbit in five years rather than 25 is relatively minor, and we propose this as a reasonable upper limit. Furthermore, spacecraft should be designed with the passivation capabilities (depleting or deactivating all sources of onboard stored energy, such as batteries, fuel or pressurized gas) and deorbit reliabilities necessary to assure responsible disposal. 5. Deorbited objects should not pose a significant risk to people or property on the ground. Recent technological advancements, coupled with proper materials selection, make it feasible to design satellites to disintegrate during atmospheric re-entry such that little-to-no debris reaches the ground. If such “design-for-demise” principals cannot be adequately employed, a controlled re-entry should be performed that limits surviving debris to unpopulated landing areas. These practices are particularly important for large-scale systems, as potentially hundreds or even thousands of satellites per year will be deorbited. Thus, larger constellations, which can cause substantially more damage over extended periods of time, should be held to tighter requirements, and their operators should evaluate re-entry casualty risk on a system-wide, annual basis. It is time for thoughtful regulation. The authors — OneWeb, Iridium and DigitalGlobe, a Maxar Technologies company — will do our best to promote these environmentally sound policies, and we invite other industry stakeholders to join us. We look forward to working with industry and policymakers on sound Space Traffic Management and Space Situational Awareness practices. Space is a shared, natural resource, and all stakeholders must employ responsible design and operational practices if we are to preserve space in the long term. The U.S. government’s recent space policy discussions are positive steps to encourage responsible space practices. We welcome the continued assistance of the United States and international policymakers in what must be a global effort to codify limited, sensible protections for our orbital environment. Timothy Maclay is OneWeb’s director of mission systems engineering. Walt Everetts is Iridium Communications vice president of satellite operations and ground development. Doug Engelhardt is a technical fellow in satellite navigation systems at DigitalGlobe, a Maxar Technologies company.